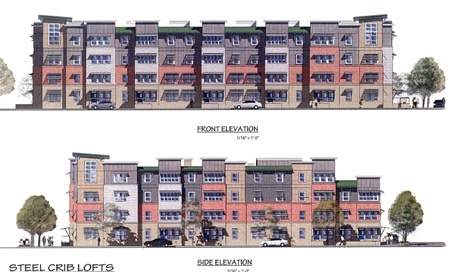 Construction work has begun on the West Yard Lofts, a 60-unit affordable housing apartment building on the former Navy base in North Charleston. The building marks the first new building on the land and first residential piece of the base’s redevelopment effort. Construction is scheduled for completion by year's end, with move in planned for January. Rents for the one, two and three bedroom apartments will range from $400 to $675 per month - aiming to keep the price between 30% and 35% of monthly income for individuals and families earning between about $21,000 and $42,000 annually. Jeff Baxter, director of development for the Noisette Company that oversees the Navy Base's development, hopes that West Yard Lofts will bring about other residential projects in the future.